John Cooper conversions are renown the world over for quality and reliability. Our retro conersions are available for all Cooper models from 1990 onwards. All conversions are thoroughly tried and tested and will enhance the Mini Cooper driving experience. Open up the bonnet of a Cooper fitted with the S Pack and instantly you will notice the similarity with the original Cooper S of the 1960s. Our exchange performance cylinder head, new performance LCB exhaust manifold and system together with twin 1.25'' SU carburettors and authentic air-cleaner achieves 80bhp. 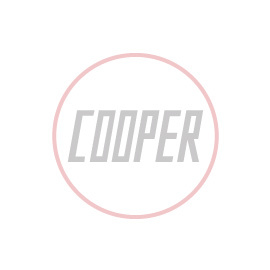 An alloy rocker cover is included as are Cooper S side decals. Available for 1275cc 1990-1994 Cooper Carburettor models.